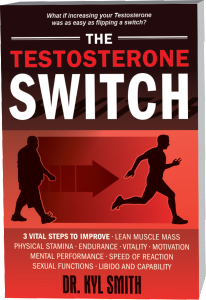 I decided to explore natural ways of boosting my own testosterone levels and discovered the book, The Testosterone Switch, by Dr. Kyl Smith. His book is clear, easy to read and exhaustively documented with scientific references. I began his three step program and after a month noticed a significant difference in how I was feeling, especially with my mood, endurance and lean muscle mass. I was pleased, impressed and decided I wanted to write about this. I like to share things that are natural, safe and work. Dr. Kyl’s program satisfies all three of those requirements. All doctors should know the information in this book and be able to share it with their patients. Dr. Kyl Smith DC is a 1993 Parker graduate and recipient of the James W. Parker Award. He is a noted researcher, patented inventor and the creator of “America’s #1 Best-selling brain health supplement.” He has appeared on radio and television programs across the country; is author of the acclaimed Brighter Mind® book series; and filed a “Health Claim Petition” for the brain nutrient Phosphatidylserine, which was approved by the Food and Drug Administration. He is now Director of Education for Progressive Laboratories. 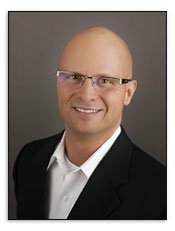 In his most recent book, The Testosterone Switch, Dr. Smith, or “Dr. Kyl” as his colleagues call him, applies his expertise as a researcher and scientist to the problem of low testosterone, a problem, which beginning about age 30 affects one in four men and increases in incidence and severity as men age. This causes serious “quality of life” and major health issues. In The Testosterone Switch, Dr. Kyl presents his three step program to raise testosterone levels by stimulating the natural production. He gives compelling scientific evidence to show how optimal, healthy testosterone levels can be achieved using a combination of nutrition, exercise and natural supplements. KOCH: Dr. Kyl, what got you started on the path that led to your discovery of the Testosterone Switch? SMITH: My own personal need. My quest for answers was borne out of personal necessity. At age 45 my testosterone was extraordinarily low at 195 ng/dL. Keep in mind that the “normal” healthy testosterone level for 30 year olds is about 700 ng/dL. This means I was at about 27% of the healthy testosterone level of a 30 year old man – and let me tell you – I felt like it! KOCH: You certainly answered your own question. 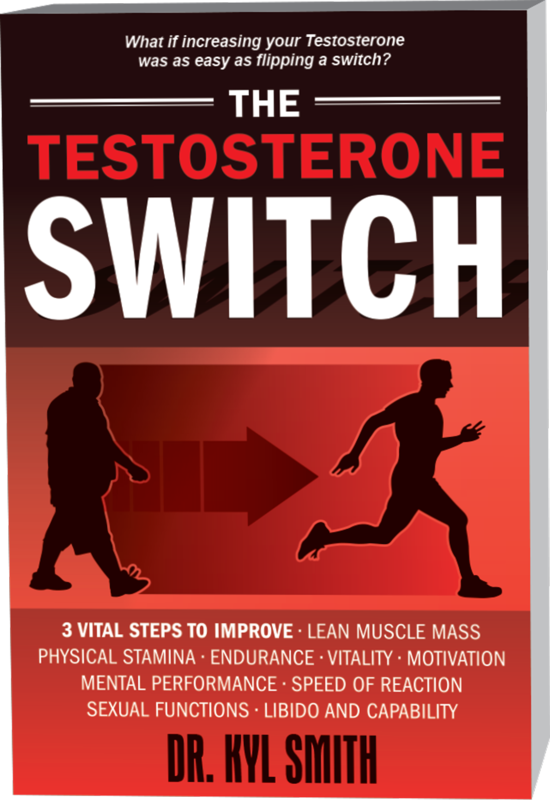 The Testosterone Switch is one of the most exhaustively referenced books I have ever read; and the results of the program you developed seem phenomenal. In the book you said that using the three step program that you developed, you raised your own testosterone levels from 195 to 750ng/Dl. SMITH: Yes. And I have sustained 700+ for six years. By combining a low-glycemic diet, daily intense exercise and the targeted nutritional supplements I discuss in the book, my total testosterone quadrupled, I gained rock hard skeletal muscle and lost 25 pounds of fat. KOCH: And you have evidence that this has worked consistently with others as well? SMITH: That’s right , Bill, It has been proven time and again that we can quickly and predictably raise testosterone levels, even in older men with severe deficiency, back to healthy levels. As an example, there was a 61 year old man who had a beginning testosterone level of 136. After only 30 days on the program it went up to 812 and he lost 36 pounds! Another man who began with a testosterone level of 303 went up to 584 and lost 30 pounds. KOCH: Very impressive — and with surprisingly fast results. I usually think of changes in the endocrine system as taking much longer. SMITH: You’re right. I myself have been amazed at how quickly things can turn around if you give the body the right stimulus and nutrition. KOCH: And you achieved these results through a program of low glycemic diet, burst training and a targeted combination of nutritional supplements. You have found a good solution to the low testosterone problem. No drugs, no side effects. Congratulations. But I want us to get back to how big and important this problem is. Low testosterone has a serious negative impact on a man’s quality of life. And this is not just a problem of “old men” or even of men middle aged and above. It affects much younger men as well. At least 1 in 4 men over 30 have “low testosterone” levels. SMITH: That’s right, Bill. This is an epidemic in DC’s practices. Many men fall below 550 and anything under 550 increases risk to heart attack and stroke. 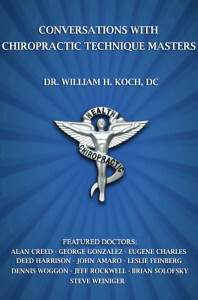 KOCH: As a practicing chiropractor and a man who suffers from a great deal of chronic pain, I found it very interesting that low testosterone – even “low normal” levels — cause an increased nociception response. That equals a greater experience of and reaction to pain. When I read this my mind started automatically reviewing my personal experience as well as a long list of my patients who seem to be very “pain sensitive,” or experience a greater sensation of pain than one would expect given their particular conditions. SMITH: Yes. And low normal serum testosterone increases the risk for increased levels of systemic inflammation. The experience of chronic pain is very debilitating and depressing. KOCH: Low “T” is normally associated with reduced male sexual desire, function, performance and potency, and that is certainly true. But there are many other symptoms associated with low testosterone. Would you briefly list some of those? SMITH: For a more exhaustive accounting of the science based health risks associated with even “low normal” testosterone your readers should consider the detail in my book. Briefly, low normal testosterone is associated with reduced energy, motivation, initiative, self-confidence, concentration and memory, sleep quality, muscle bulk and strength, depressed mood or clinical depression and increased body fat. Even more however, low testosterone over time can have deadly consequences. Low serum testosterone levels increase the risk for premature death from all causes – and specifically the risk for death from any cancer or from cardiovascular disease and stroke. KOCH: So, Dr. Kyl, what are the main causes of low testosterone? And what is The Testosterone Switch? SMITH: There are many factors that contribute to low testosterone levels. But in my opinion, stress and the negative effects of cortisol are the major players. The higher the stress hormone cortisol, the lower the testosterone production. And when cortisol goes up, insulin goes up and so does insulin resistance. The higher the insulin levels, the lower the testosterone. In fact, cortisol is the “testosterone switch” in a man’s body. Too much cortisol causes a dramatic decline in “T” levels. Controlling excess cortisol, however, literally flips the switch back in the right direction, allowing testosterone to be turned on and be generated in healthy abundance again. A low glycemic diet, consistent high intensity “burst” training exercise and the targeted supplements I list in the book combine to flip that testosterone switch back to where we want it to be. KOCH: Thank you Dr. Kyl for this great information. As I said, I am on the Testosterone Switch program and I am very happy with the results. Your book should be on every doctor’s shelf and in his/her reception room. Thank you for your service to our profession and the male population.